The new home of traditional metal rock music, with exclusive performances, and three stages. Over ten thousand metalheads throng to the hallowed grounds of Catton Hall in Derbyshire for a wild weekend of metal celebrations. Bloodstock Open Air festival will take place from Thursday 9th until Sunday 12th August at Catton Hall, Walton-on-Trent, in South Derbyshire. The aim is to offer a traditional metal event comparable to those regularly seen in Europe and capture the spirit of the original Monsters Of Rock shows which used to take place at Castle Donington during the 1980's and 1990's. The festival will have exclusive performances from Friday headliner Behemoth, Saturday is Machine head, and Sunday headliner Alice Cooper. The Saturday Night headliner will not be announced until 6pm on Wednesday 6th June 2012 (6 6/6). Plus Crowbar, Dio Disciples, Deicide, Sanctuary, Grand Magus, Nile, Mayhem, The Black Dahlia Murder, Dimmu Borgir, Hatebreed, Corrosion Of Conformity, Anaal Nathrakh, Watain, Paradise Lost, Anvil, Orange Goblin, Savage Messiah, and Doomed also confirmed. For the line-up details, day and stage splits, as available please click here. As well as the international heavy metal bands across three stages, Bloodstock offers a large selection of merchandise stalls, metal karaoke, a campsite and a wide selection of food and bars. Early bird tickets are no longer available. Tickets are priced at £115 for adults, and car parking is priced at £14, campervan passes are priced at £40, child (aged 4 - 11 years) tickets are priced at £25, with day tickets expected to be on sale at a later date. There is also the chance to pay for weekend camping tickets in 3 easy instalments, with an initial payment of £36.25 if purchased before 1st March 2012. The second instalment is due on 31st March, and the third on 30th April. Big Green Coach is running coaches to Bloodstock from 27 locations. Bloodstock Open Air will be raising awareness and funds for the charity Teenage Cancer Trust for the second year running. This year in the Teenage Cancer Trust marquee there'll be a T-shirt Amnesty, with old rock / metal T-shirts available in exchange for a donation while festival goers are invited to donate their unwanted T-shirts. There will also be a raffle over the weekend with an exclusive prize for one lucky winner.  There'll also be many things across the weekend to raise awareness of the charity that festival goers can get involved with. More details of this will be announced nearer the time. joining Scorpions, Sabaton, Children of Bodom, Soilwork, and more.